As one of the leading florist in the Wichita, KS, The Flower Factory delivers elegant roses, fresh flower bouquets, blooming and green plants, and fruit and goodies baskets throughout the Wichita metro and surrounding areas. 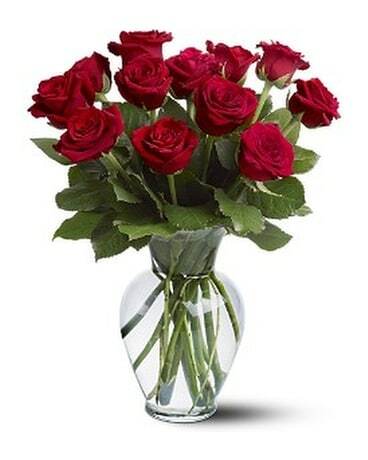 We will also be happy to wire out an order for you to one of our affiliates in any one of the U.S cities via Teleflora. A complete menu of popular items is available online for birthdays, anniversaries; get well wishes, new babies, holidays, expressions of sympathy, and almost every other occasion. Each gift is professionally designed and delivered, to ensure the highest level of quality and service. A personal enclosure card message is included at no extra charge, and satisfaction is always guaranteed. In the U.S. and Canada, same-day delivery is generally available Monday through Saturday on orders received before 1:00 pm weekdays, and 12:00 noon Saturdays, in the recipient's time zone (excluding holidays and peak floral delivery periods.) Otherwise, next-day delivery is the norm. IMPORTANT -- At peak floral delivery periods, such as Christmas, Valentine's, and Mother's Day weeks, please order at least one or two days in advance if possible. Delivery service is often NOT available in many areas on Sundays or legal holidays. So, while every effort will be made to accommodate such deliveries when possible, items requested for delivery on a Sunday or legal holiday may be delivered the day before or day after the date requested, if necessary. On orders received at least 24 hours in advance (excluding peak floral delivery periods), we will be happy to honor requests whenever possible for AM delivery, PM delivery, or delivery by a specific afternoon time (e.g., by 4:00 p.m.) For same-day orders placed by 12:00 noon (recipient's time zone), you may also request delivery by 5:00 pm. If you are not completely satisfied with the quality of one of our products, please contact us immediately by phone, and we will cheerfully provide a replacement or make any other appropriate arrangements. For your shopping convenience, a wide variety of popular items may be viewed online. Each of these beautiful gifts is individually designed with the freshest flowers available, and most are offered in a variety of sizes and prices to meet differing budgets. Of course, while the items shown are all representative of overall style, color scheme, and value, specific flowers and containers may vary in some cases due to design interpretation and availability or to meet our quality standards.